marketing your home, filing seller disclosures, evaluating offers, and closing. For Sale By Owner sales are up. According to Redfin, 20% of homeowners sold their homes without hiring a full-service agent in 2016. This number is even more pronounced for homes valued at $1 million and up, where 37% of owners opted to sell their homes themselves or use a limited-service agent. And according to Stanford University and Northwestern University studies, these For Sale By Owners (FSBOs) likely got the same price or higher for their homes, than if they would have hired a full-service agent. Not every home should be sold FSBO – vacation homes, estate sales, and distressed properties are prime examples of complex transactions that may benefit from the involvement of real estate agents. But for most homeowners, if you can call an Uber, file taxes, or book a vacation online, you can sell your home by owner. The single most important factor that determines whether your home sells quickly or not is its list price. Review Recently Sold Homes: Look at every similar home sold in the last 3 months within 1 mile of your property ensuring it’s the same zip and school district. Adjust for the age of the property, lot size, upgrades, and condition. Then compute the price per square foot. Use the median price per square foot to price your home. Review Current Active Listings: Similar to recent sales above, also look at all the homes currently listed, weighing newest ones more. The median price per square foot will give you an indication to market trends. If the market is hot, the price will be trending up. 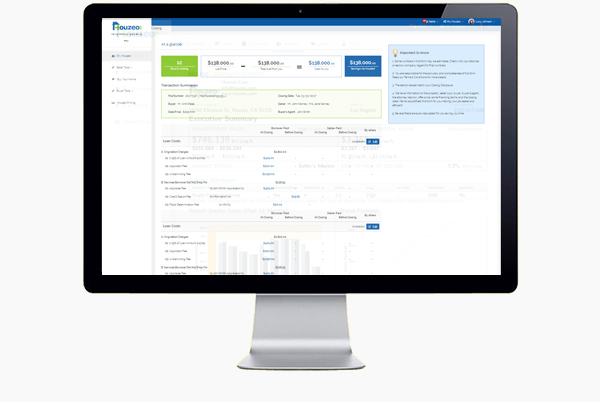 The most powerful dashboard in real estate! Zillow Zestimate & Recent Home Sales: Houzeo pulls these metrics from Zillow®. Comparative Market Analysis: If you still need further help, you can order a CMA from your local agent via Houzeo. A professional agent will visit your home and provide you with a detailed pricing report called the CMA. 95% of buyers now search online for homes. It’s easier today than ever to inexpensively list your home and get it in front of millions of buyers. Many agents set up auto notification emails for their buyers when new homes show up on the MLS. You want to be on this list. Most local MLS’ distribute to Zillow, Trulia, Redfin, and several other brokerages/portals. This is important exposure for your listing. Finally, MLS allows you to offer the buyer’s agent a commission. Offer a Buyer’s Agent Commission: Since most buyers are still represented by agents, it’s advisable you offer the buyer’s agent a fair commission to incentivize these agents to show your home. This is generally between 2% to 3% of your sale price. Get Professional Photos: Photos sell. Plain and simple. In today’s world of mostly online marketing, your home is only as good as your listing. And photos are one of the most important parts of your listing. Hire a Pro: The $299 or so a professional photographer will charge pales to how marketable these photos will make your property. A good professional will know how to bring out the features in your home and hide the downsides, bringing more online traffic to your listing and more foot traffic to your property. Assess if Staging is Right For You: If your home is upscale or has unconventional spaces, consider staging it. Staging defines spaces and provides a sense of depth and scale to potential buyers. This in turn helps them imagine their own life in your property. Easy listing to reach 160+ million buyers! Save Time: With Houzeo’s IntelliList Intelligent Listing Management System, there’s no more tedious printing and scanning forms. List and manage your listing 100% online. That means you can post your listing, edit it, add photos, sign disclosures and contracts, and even manage changes. All online. 100% Free Houzeo Listing: Your Houzeo listing is fast and free! And in most cases, it's autofilled. Easy MLS Listing: Houzeo MLS plans start at as low as $99 for some cities. And your Houzeo listing info directly feeds into the MLS intake form. Federal and state laws mandate that property sellers disclose various material facts that impact the property, its sale price, or offer terms to prospective buyers. Your local county, city, or neighborhood and Homeowners Association might have additional requirements around seller disclosures. If your home was built before 1978, Federal Lead Based Paint disclosure is mandatory to be filled out. If you’re a foreign person selling your property, you’re subject to the Foreign Investment in Real Property Tax Act of 1980 (FIRPTA) income tax withholding. The buyer is supposed to withhold 15% of the sale price. If you’re not a foreign person, you’ll have to provide an affidavit to that regard - your closing agent (see step 6 below) will help with this. Disclose Material Facts: Most states require sellers to disclose material facts that impact the property, the price, or terms of the offer to potential buyers. This may include deaths on the property, natural and manmade hazards, defects and repairs, title issues, and any fees/costs. As a seller, if you have knowledge of a material fact, disclose it after ensuring it doesn’t violate any laws. Provide Any Homeowners Association Rules and Regulations: If the property is subject to HOA regulations, provide them upfront. Fill out all your Federal and State Disclosures electronically. In minutes! eFile Federal & State Disclosures3: Disclosures are cumbersome and time-consuming. 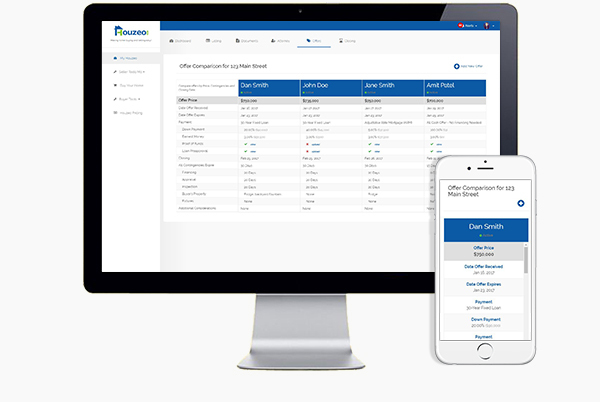 Houzeo has digitized Federal and State disclosures for some states, and more states are being digitized every week. 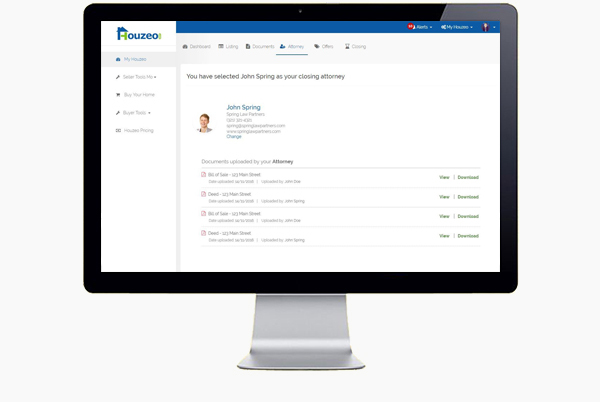 Save Time - Only See Disclosures That Apply to Your Property: Instead of making you wade through hundreds of disclosures, Houzeo automatically selects all the Federal and State disclosures that apply to your property, so you don’t have to worry about compliance with important Federal or State disclosure requirements. Most buyers will have agents representing them. As a For Sale By Owner, it’s important you educate yourself to protect your best interests. This includes being able to determine what makes an offer strong or weak, negotiating terms of offers, and ensuring all contingencies and due diligence terms are acceptable to you and all parties abide by them. Offer Price: The offer price that matters most to a For Sale By Owner is the net number, post any Seller Paid Closing Costs (SPCC). For example - a buyer offers you $250,000 for your home, but requires you to pay $5,000 in closing costs, the net offer is $245,000. Earnest Money Deposit (EMD): This good faith deposit is one of the signals that the buyer is serious. More EMD should be viewed positively. Remember this amount is refundable back to the buyer if the contract falls through due to one of the contingencies specified or in the due diligence period (if specified). Due Diligence Fee (DDF): In certain states like North Carolina, in addition to the EMD, buyers generally give the seller an additional amount called DDF. This non-refundable amount is part of the offer price, and covers the inconvenience to the sellers while the buyers perform their due diligence. Contingencies or Due Diligence Period: If your offer has contingencies, review them for reasonableness. And ensure that the offer specifies the method of contingency removal - it could be a contingency removal form that the buyer sends you (California) or the passing of the contingency expiration date (Florida). Same with Due Diligence Period. Proof of Funds or Mortgage Pre-approval Letter: If your buyer is purchasing the home all-cash, make sure they provide you with proof of funds. This can be a simple statement from their bank that they have the required funds to cover the purchase or it could be their latest monthly or quarterly bank statement. If the buyer is seeking financing, require them to provide a pre-approval letter from their bank stating they are pre-approved for the loan to cover the purchase. This will save you significant headaches upfront. Closing Costs: Review various closing costs and make sure they are in line with your expectations and local customs. This includes attorney/escrow charges, title fees and insurance, and home warranty. Negotiate, if Needed: Never not respond or walk away from an offer. Buyers often come in low with their first offer. You should always counter, and if you can’t go any lower, counter with your bottomline offer and let the buyers know this is your best and final offer. If you have multiple offers, inform all buyers that you’ve received multiple offers and ask them to submit their final and best offers. Look at more than just the offer price when comparing offers. Review contingencies, closing period, and buyer qualifications too! Review Offers Online4: Houzeo’s online Offer Review & Comparison Tool lets you review offers beyond just the offer price. Upload buyer pre-approval letters, earnest money deposits, and contingencies to see the full picture and review each offer on all its merits. Compare Offers4: If you have multiple offers, see a comprehensive view with all the offers and important metrics that form these offers. Compare across price, buyer qualification, financing, deposits, and contingencies and decide what the best offer is for you. Depending upon the state your property is in, an Attorney, an Escrow Company, and/or a Title Company can help with closing or settlement of your transaction. Offer Should Specify Who Pays for the Closing Agent: Generally, the party who pays for the closing agent chooses who to hire, but as a seller you can negotiate and specify one. 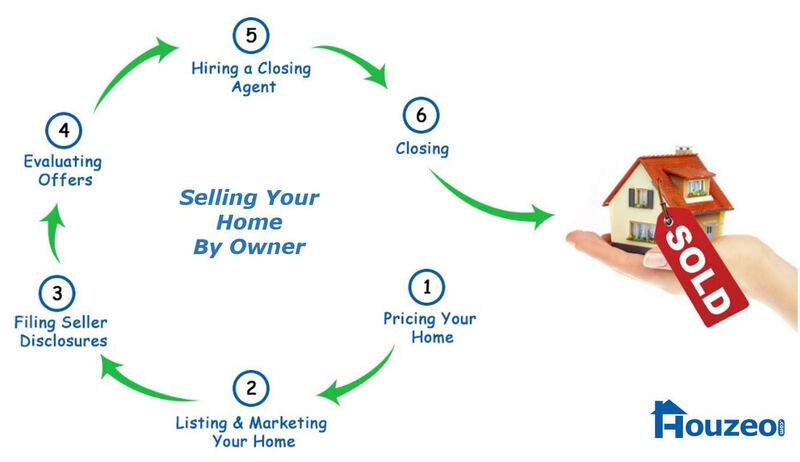 In some cases the buyer and seller will each have their own closing agents, likely attorneys. Review Their Charges: Some closing agents will sneak in dubious fees for document processing, email/fax/printing, etc. Ask them for a fee schedule upfront to avoid expensive surprises later in the process and to weed out unscrupulous players. Select an Attorney or Escrow Company in your area, and get more transparency in pricing. Hire Your Closing Agent on Houzeo4: Houzeo connects you with Closing Agents in your area, including Attorneys, Escrow Companies, and Title Agents. You can choose these professionals based on their user reviews. Exchanging documents with them is easy! Just upload them on Houzeo. More Transparency4: With detailed expected pricing schedules, you get more transparency and control over your costs. Your closing agent will schedule a date for your closing. Here’s how to prepare for your closing day. The HUD-1 or Closing Disclosure: Details amounts you’re being charged for, your loan payoffs if any, and the net proceeds you will take to the bank. Remember, depending upon how much equity you have in the property, you might be asked to bring a check (or send a wire) on the closing date. Ensure there are no typos in your name, address, property address, bank info, and settlement amounts. The Deed: This document enables legal transfer of title from the seller to the buyer. Statement of Closing Costs: Informs you of all the expenses involved in the transaction. Certificate of Title: Allows you to state that you have the right to sell the property. Loan Payoff: If you have a mortgage, this document details how it’ll be paid off. Mechanic’s Lien: Asks you to swear that there is no security interest in the title to the property for the benefit of those who have supplied labor or materials to improve the property. Ask Questions: If this is your first time selling a property, schedule an appointment with the closing agent before the date of the closing. Prior to that appointment do your research and ask clarifying questions on anything you have doubts on. Bring an Official ID: There will likely be a licensed notary involved who’ll require that you swear you are who you say you are. Take a valid driver’s license or passport for ID. Estimated Costs Upfront: Be prepared for your closing by reviewing your estimated costs upfront including estimated agent commissions, state transfer taxes, and attorney charges. Our Closing Dashboard shows your estimated net cash, so you can better plan your next home purchase or however you would like to use your cash proceeds! More Transparency. Fewer Surprises: With your estimated costs upfront you get more insight into charges typical for your area. And more power to demand an explanation if those costs change at closing. And that’s it. You’ve sold your home without a listing agent. As a bonus, pat your back and enjoy your savings!